Home » Philanthropy » Ann Alison Goodlet nee Panton (1822- 1903), Presbyterian Philanthropist and missions promoter. Ann Alison Goodlet nee Panton (1822- 1903), Presbyterian Philanthropist and missions promoter. Although Ann Alison Goodlet at her death attracted much praise for her charitable works, her kindness and loving concern, little appears to have been known about her background by either friends, acquaintances or admirers. Even the stained glass window that was erected in her honour at the Ashfield Presbyterian Church spelt her name incorrectly. It seems to have been a characteristic of Ann and John Goodlet that neither said much about themselves. Ann is the forgotten Mrs Goodlet for while Elizabeth Mary Goodlet (nee Forbes), the second wife of John, has received some notice, Ann has been overlooked. Lang thought well of the Pantons, principally because they were supportive of Lang in his opposition to the behaviour of the Captain of the ship, though Lang described them as ‘… not people of the least pretensions to religion’. William Panton was granted land at Picton which he called ‘Sea Bright Park’ and where he attempted to farm. Later, he was so impressed by James Busby’s book, ‘Treatise on the Culture of the Vine and the Art of Making Wine’, that he planted a vineyard and changed the name of his property to ‘Montpellier‘ after the famous wine-producing district in France. He grew wheat, took part in the Government’s experiment with tobacco growing and also began to speculate in livestock. In July 1831 he was declared insolvent because of losses through his speculation in livestock. In March 1836, Panton and his family left NSW on the Ship ‘William’ for Scotland. Though his family made land fall in Scotland, William Panton died and was buried at sea off the Ascension Islands on 3 June 1836. I had a long letter from Mr Dickson by the same vessel which brought your’s in it he mentioned a circumstance that you quite overlooked in your’s, which was that you and he were at the Exhibition of Paintings I suppose you saw as much of them as I did here almost to say nothing, more Anne (sic) this looks very suspicious, Am I to prepare myself for something of a more serious nature before I hear again from you? Indeed Beatrice needed to do so, for Ann Panton married John Dickson in Edinburgh in 1853 when they were both thirty-one years of age. The married couple came to the colony of NSW by 1855, possibly in order to seek an improvement in John’s health as he suffered from consumption. John and Ann Dickson were of Free Church sympathy as they attended Presbyterian Churches of a Free Church orientation during their time in Sydney. They initially attended Pitt Street Free Church from August 1855 until September 1858, and then they attended Chalmers Free Church from October 1858 until May 1860. After the death of John from Tuberculosis in April 1859, Ann left the Chalmers Free Church and presumably joined the St George’s Free Church. In May 1860 Rev Dr Mackintosh McKay married John Hay Goodlet and Ann in a ceremony at Mrs Gibson’s boarding house in Cleveland Street Redfern. At this time Ann was thirty-eight years of age and John was twenty-five years old. Through the whole of her adult life in Sydney, Ann was active in charitable work. In 1856, well before her marriage to John Goodlet, she commenced an association with the Sydney Female Refuge Society (SFRS) which she was to maintain throughout her life. As the Dicksons arrived in Sydney in July of 1855, it would appear that Ann wasted no time in getting involved in this work. Ann’s family, and the Dickson family, appear to have been well known to one another in Edinburgh before John and Ann married. John’s mother, Mary Dickson, was involved in the Edinburgh Magdalene Asylum which was an organisation with similar aims to the SFRS. Perhaps it is from this source that Ann’s initial interest in the work arose. It was only in 1861 that John Hay Goodlet, due to his wife’s involvement, became interested in and was appointed to the Board of the SFRS. 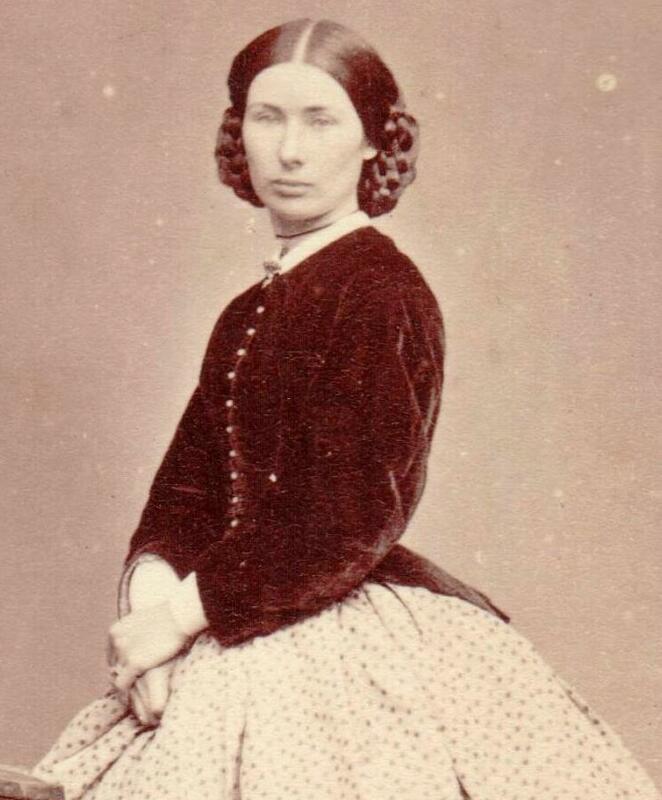 By 1861 Ann had become the Secretary of the Ladies Visiting Committee (LVC) of the Refuge. The office of Secretary was one that closely involved Mrs. Goodlet in the running of the facility. Admissions to the SFRS were decided, in the first instance, by Mrs. Goodlet as the Secretary and then ratified at the next meeting of the LVC. At the time of John Hay Goodlet’s death in 1914, he had been connected with the SFRS for over fifty years. His commitment to this work remained to the end and in his will he left a bequest of 2,000 Goodlet and Smith shares to the SFRS so that their income might be applied to its work. Although he was involved in the SFRS for this length of time, it was his wife Ann that the SFRS publicly honoured on her death. A decision was made to hang a large photograph of her in the newly opened premises at Glebe, the renovation of which John Goodlet had supervised. Goodlet’s contribution to the work of the SFRS was in terms of his social and commercial standing, his financial support and his attending to the fabric and material aspects of the organisation. Ann dealt more with the day-to-day and face-to-face-interactions with the Matron, Martha Malbon and the inmates. John Goodlet assisted in providing the physical framework and financial support by which the SFRS sought to achieve its aims but it was Ann who provided the heart, the tears and the compassion. The Benevolent Society (TBS) was another avenue of philanthropic service through which Ann and John exercised care towards young women and others in difficulties. 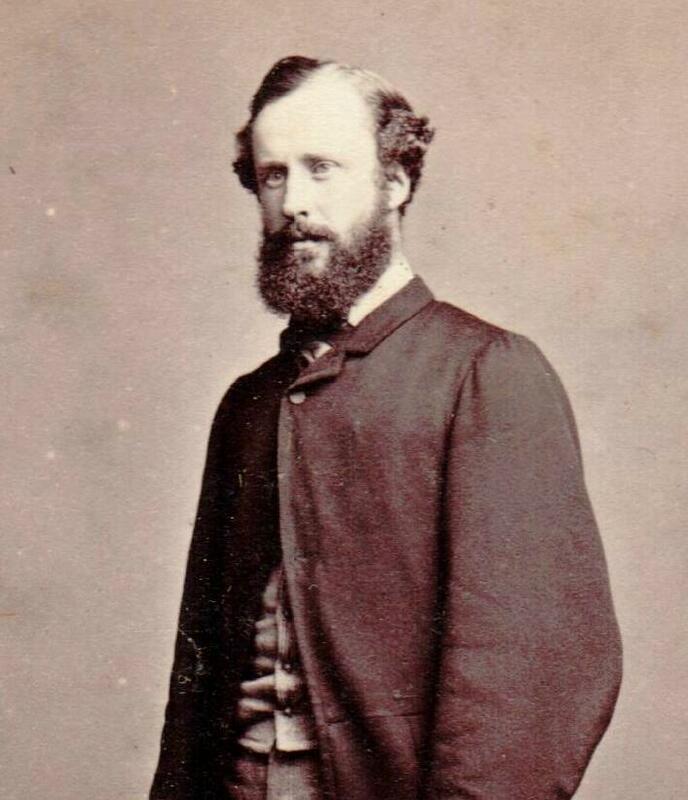 John Goodlet was elected to membership of the Committee of TBS in 1862 but he had contributed to its funds from 1860. He continued in his elected role until 1870. 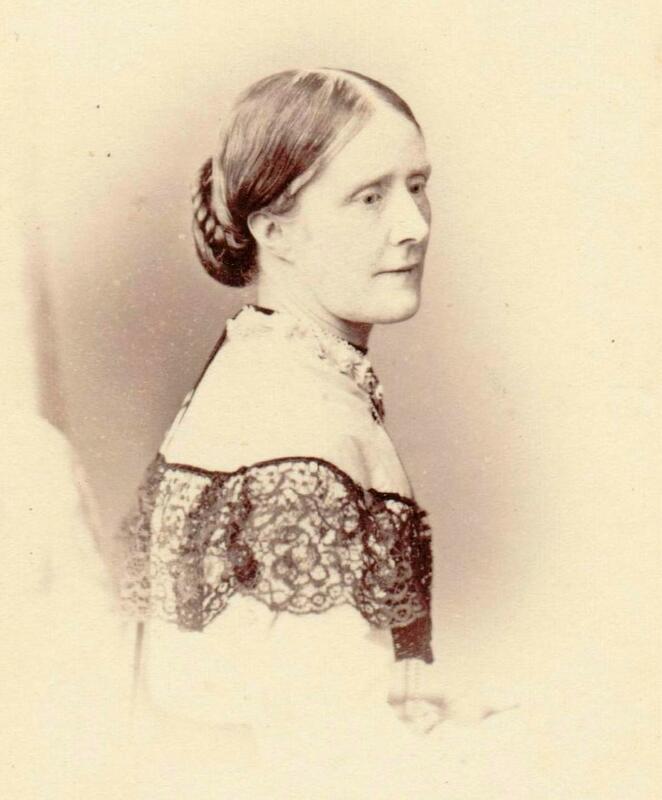 Sometime between 1880 and 1882, a Ladies Committee (LC) was formally recognised and Mrs Goodlet was a member at least from 1882, but she was most probably involved from the early 1860’s because of John’s involvement from that time. The LC was a group of ladies “who every week devote their time to the cases presenting themselves for admission to the Lying-in Department….” “and who by their kind and Christian deportment to the unfortunates who seek admission during the time of their trouble….” do “their utmost to counsel young women with regard to their sinful lives” and as the President Arthur Renwick noted, “no doubt in many instances the seed has fallen upon fruitful soil….”. Mrs Goodlet was the Superintendent of the LC from 1894 until her death in 1903. She took a leading role in counselling these young pregnant women and TBS recognised her service through the naming of the ‘Ann A Goodlet Ward’ when the Royal Women’s Hospital was opened shortly after her death. This Committee in meeting for the last time in 1893 desire to place on record their deep sense of gratitude to God for His blessing and guidance so clearly given in answer to prayer during the latter half of the year and for the way in which He has so graciously and fully supplied all the needs of the YWCA and relieved them of their difficulties. Although Ann was not present at the founding meeting of the YWCA, she was invited to join the founding group and attended their second meeting on 22 April 1880. This was an active involvement that Ann maintained for over twenty years right up until the time of her death in 1903. At her death, a portrait of her was placed in the Library of the newly opened YWCA building that she had done so much to bring about. While the inscription on the portrait read, “In loving memory of Mrs J.H. Goodlet, First President of the YWCA Sydney 1880-1903”, the inscription was in error as Ann was not the First President. Initially, the YWCA structure did not have a President and the Treasurer presided at meetings, and it was some time before the formal pubic organisation of YWCA was crystallised. The ladies requested the Bishop of Sydney to be President but he suggested that a woman would be more appropriate, and that he would prefer to be appointed to the Board of Advice. Mrs Barry, the bishop’s wife, was invited and accepted the position of first President in July 1884  and served until April 1885. She was replaced by Lady Stuart  and one year later Ann became the third President of the YWCA on 3 June 1886, and remained so for seventeen years until her death in 1903. During Ann’s presidency the YWCA had grown from a group running a small boarding house to an organisation seeking to address issues affecting young women both temporal and spiritual. The directors have taken steps to acknowledge the great services of this good lady, and, with out wishing to recognise the views which many now hold with regard to the position of women in public matters, they have determined that they will interpret the rules as regards gentlemen being placed on the roll of this Society as life Directors in such a way that Mrs. Goodlet shall be placed on this roll, and shall be the first lady recognised in this capacity. Mrs. Goodlet was a member of the Ladies’ Visiting Committee of this Institution for nearly 40 years, during the greater part of which time she filled in a most efficient manner the position of president and secretary of that Committee. ……….. In further perpetuation of the memory of Mrs. Goodlet, and as a permanent record of her devotion to the sacred cause of charity, it has been decided by the Board to erect a marble tablet, with a suitable inscription, in the entrance hall of the Institution. 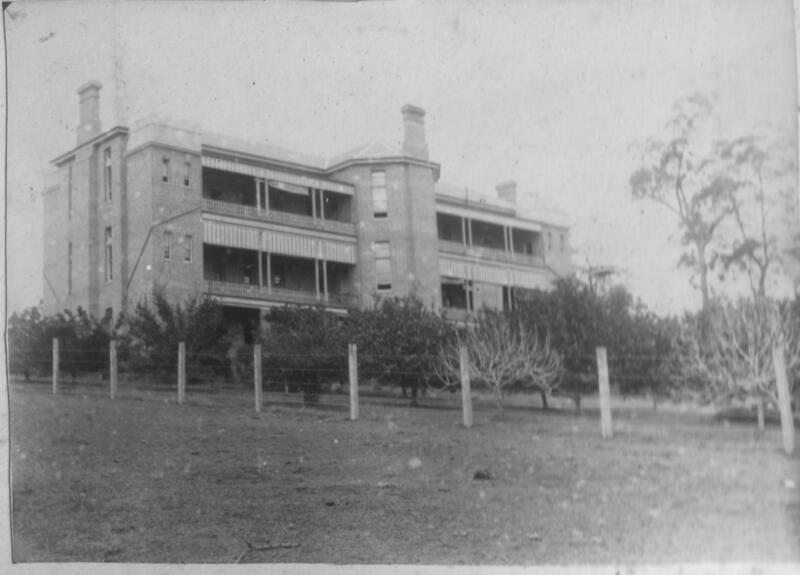 A major philanthropic work in which both Ann and John were deeply involved was the “Home for Consumptives” (HCPT) initially at Picton and later at Thirlmere, NSW. John Goodlet was widely praised and honoured for his role in providing the only purpose-built hospital for Consumptives in 19th Century NSW. Consumption was a major health problem, and many came to the colony of NSW in an attempt to recover their health. Often as not they found themselves alone, unemployed, destitute and dying of consumption. Goodlet provided the money to build and maintain what was the only hospital that admitted consumptives. Being a patient at the HCPT, supervised by its matron Isabella Price, was at no cost to the patient as all costs were born by Goodlet. The Goodlet’s maintained the HCPT for seventeen years from September 1877 until September 1893 when, due to the adverse commercial conditions, Goodlet was unable to continue to fund the hospital. On very generous terms, he handed its control over to a publicly supported body. The Consumptive Home at Thirlmere is itself an enduring monument of her Christian compassion for sufferers; but the time she devoted to the interests of the patients in that Home, and the thought and anxiety its efficient management cost her, is known only to a few. It is probable that the idea for the home, its location and its design came from Ann herself. Ann’s first husband came to the colony of NSW suffering from Phthisis or Consumption which was eventually to take his life at the age of thirty-seven after only six years of marriage. Ann herself grew up in the Picton area where her father farmed from 1823 to 1836. In the speeches at the opening of the new home, Ann’s name is constantly linked with that of her husband in the decision to commence the home and in the decision to build a new home. Indeed the Architect, in responding to the praise of his newly designed building, explicitly gives the credit for its design to Mrs Goodlet. The HCPT was so designed that as a contemporary account said, “… there is the most convincing evidence that very careful study has been given to secure the best means for the promotion of the inmates’ health, their convenience, and comfort.” The HCPT was not just John, her husband’s project. It was Ann’s, and she was a significant factor in the success of the home. Children in poverty or in need of assistance was also another of Ann’s interests. From 1876 until 1882 she acted as a lady visitor to the Randwick home run by the Society for the Relief of Destitute Children. She and John were financial supporters of this charity for thirty years. The Governor of NSW appointed Ann as one of the nine members of the State Children’s Relief Board, a position she conscientiously held from April 1887 until July 1898 when, due to failing health, she was forced to resign. The State Children Relief Act, 1881 authorised any State child under the age of twelve to be removed from an Asylum and boarded-out. This Board was the immediate forerunner of the Child Welfare Department and it would seem likely that Ann was suggested for the role by Arthur Renwick, the chairman with whom she worked on both The Benevolent Society, The Consumptive Home and the Deaf and Dumb and Blind Institute. Ann was also the first president of the Women’s Missionary Association of the NSW Presbyterian Church from its foundation in 1891 until 1898. She had also been the foundation and only President of the ‘Ladies Association on behalf of the New Hebrides Mission’ for thirty-five years. Ann thus began expressing her interest in Missions the year after she arrived in the Colony of NSW, which was a considerable time before she married John Goodlet. About my health I cannot say more than that the disease has nearly run its course – perhaps a few more weeks. I often, often think of you and my dear pets O what you have done to soften my dying pillow! How could I have even hoped for a mother so like the real mother. She left two of her four children, Alexander aged nine and Josephine aged six, in Sydney in the care of Mr and Mrs Goodlet. On Elizabeth’s death in 1876 her remaining two children, Isabella then aged six and Agnes aged three, came to Sydney to be cared for by Mrs Goodlet. 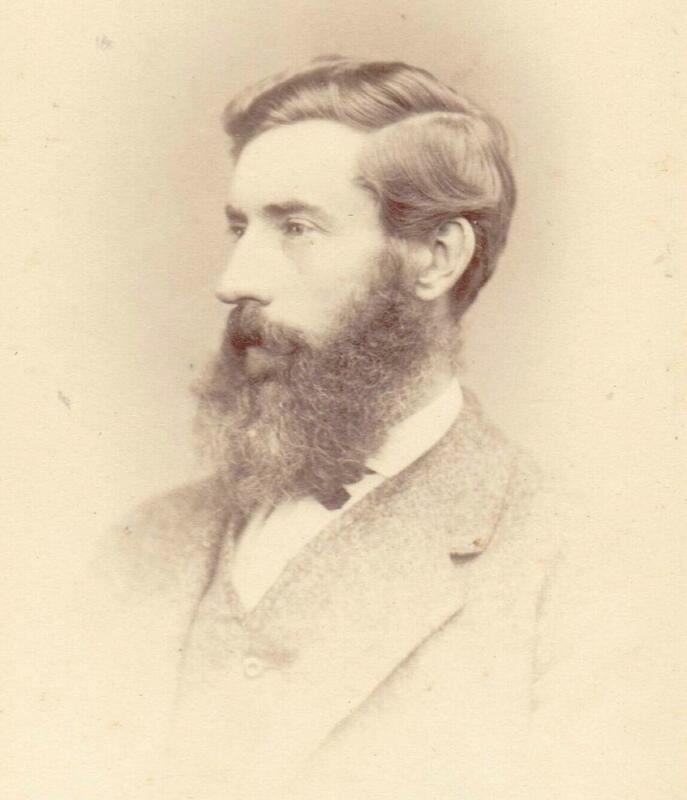 Joseph Copeland finally returned to Sydney in 1879 and lived with the Goodlets until 1905. John and Ann Goodlet were said to have ‘adopted and educated’ the Copeland children, though the adoption was probably of an informal nature. The Copeland children grew up in the Goodlet household with Mrs Goodlet as their second mother and the children referred to her as ‘”Auntie”. Alexander grew up to become a Director of Goodlet and Smith. Josephine married a nephew of the Goodlets who was also living in the household, and Isabella and Agnes remained Ann’s companions until her death in 1903. It may well be that the arrival of the Copeland family led the Goodlets to consider the purchase of a bigger residence with more extensive grounds than their leased Ashfield house. In 1876, Goodlet purchased ‘Canterbury House’ which was to become a home for both the Goodlets and the Copelands, as well as a centre of hospitality and ministry. It was here that the Goodlet nephews, James Hay Clark and David Barclay Mellis Clark, lived while they worked for the Goodlets. John Walker, later to become the Rev John Walker, also lived with the Goodlets while he studied and Mrs Goodlet nursed him when his health broke down. She became for him his Australian mother, and his gratitude was shown in the naming of a son ‘Alison Goodlet Dight Walker’. When Ann Dickson and John Hay Goodlet married she was 38 and he was 25. This may say something of the confidence of John and the sympathy of their views that he was willing to marry a woman so significantly older than himself. Just prior to marriage he took out a life insurance policy so that Ann might be provided for in the event of his early death. Neither he nor she needed to be concerned as John had a talent for business and quickly prospered. Ann Goodlet was not merely an “encourager and helper” to John Goodlet’s philanthropic, charitable and religious activities, she was the initiator of many of his interests. John does not appear to have involved himself in charitable work until after his marriage though he was philanthropically inclined before he ever met Ann. For lengthy periods she was actively involved in the work that they supported and she devoted large amounts of her time to them. Ann had the opportunity and the means to do so but she also had the desire to do so. Her charitable and religious interests and activities were present long before she married John Goodlet. Her marriage to John enabled her to pursue those interests and to enlist her husband’s support in these causes. Regretfully, more than one hundred years later, both her church and community have largely forgotten this remarkable woman who was a leader of women and an example of Christ in her generation. From many an eye falls sorrow’s tear. Following the footsteps of her Lord. From paths of death and Satan’s snare. If she a kindly act could do. The spelling ‘Allison’ is used whereas ‘Alison’ was the correct spelling. Her grave stone also has her name spelt as ‘Anne’ which was a form never used by her in her life time. She invariably used ‘Ann’ which was the way her mother’s name was spelt. The Pantons arrived in the Colony of NSW on the Andromeda which left Leith 14 October 1822, England on 10 December 1822 and travelled via Rio leaving on 7th February 1823 arriving in Sydney on 31 July 1823. The Rev John Dunmore Lang had been a passenger as far as Van Diemans Land but elected to arrive in Sydney earlier on the Brixton which docked in Sydney on 23 May 1823. The Andromeda’s passenger list included a Mr & Mrs Panton and child (the future Mrs Goodlet) Sydney Gazette Thursday August 7, 1823 and WA Baker Days of Wrath (Melbourne University Press, Carlton, Vic, 1998), 25. William had obtained permission to emigrate from his home parish of Turiff, Aberdeen from Lord Bathurst and brought with him a personal note from Henry Goulburn of the Colonial Office addressed to Governor Macquarie. Original Letter from Lord Bathurst in the Macfarlan family’s possession. Lang’s Journal Voyage in ship Andromeda Monday 17 March 1823. Lang’s Journal Voyage in ship Andromeda Tuesday 18 February 1823. The 1828 NSW Muster lists him as having 1000 acres, 50 acres cleared, 25 acres under cultivation, 1 horse, 54 cattle and three assigned convicts. “William Parton [sic] of ‘Sea Bright Park’ on the Oaks Road, towards Picton from the Oaks. When he sold his estate in 1836 the sales listed a vineyard and noted for future winegrowers that ‘furrowing was not necessary to grow grapes at ‘Montpellier’ as there was rich soil to a depth of 3 inches’. The vineyard ceased production the in the mid-1850’s. P. Norrie, Vineyards of Sydney: Cradle of the Australian Wine Industry from First Settlement to Today. (Horwitz Grahame; Sydney, 1990), 151-2. Sydney Gazette July 23, 1831. Babette Smith (nee Macfarlan) personal communication. November14, 2002. Panton Letters Beatrice Panton to Ann Panton 1852. (Ferguson Memorial Library, Sydney). Panton Letters Beatrice Panton to Ann Panton December 1850. June 19,1853 Register of Marriages Parish of Edinburgh, County of Midlothian. John Dickson Death Certificate 1859/000493 NSW Registry of BDM. They arrived in Sydney on the inter-capital Steamer Wonga Wonga on July 31 having left Melbourne of 28 July 1855.The Empire, August 1, 1855 That this is the likely date, and certainly the year, is confirmed by information supplied on Ann’s death certificate when in 1903 it is indicated that she had been in the colony for 48 years and on John Dickson’s death certificate of 1859 indicating that he had been in NSW for 4 years. Death Certificate, Ann Alison Goodlet 1903/001133 NSW Registry of Births, Deaths and Marriages (BDM). This is also confirmed by John Dickson’s death certificate that indicates he had been in the colony since 1855. Dickson contributed as follows October 1854 to September 1855 4/-; October 1855 to September 1856 £2.10.0; October 1856 to September 1857 £2.10.6; October 1857 to September 1858 £2.0.0. These amounts are consistent with Dickson arriving with his wife in July 1855 and then leaving the congregation by the end of 1858. Communion Roll for 1859 of Chalmers Free Church, Sydney. April 27,1859 Death Certificate John Dickson NSW Registry of BDM. May 3, 1860 Marriage Certificate John Goodlet and Ann Dickson NSW Registry of BDM. “The members of the Ladies Committee desire to place on record their sense of the great loss, sustained by them through the removal by death of their late secretary Mrs. J. H. Goodlet. Her association with the institution dates from 1856 during which time she served the Institution with zeal and wisdom, and has left the stamp of her influence on all branches of the work. As secretary she conducted the business in a methodical and thorough manner and won for herself the respect of all who labored (sic) with her” SFRS Ladies Committee Book March 1903. 12th Report of the SFRS for 1860; 13th Report of the SFRS for 1861, iii-iv. The Goodlets were just newly married and on their honeymoon when the annual meeting was held in 1860 so Ann was appointed in her absence. The exact date of the appointment of Ann as secretary is unknown. “Colonel Goodlet for well nigh fifty years devoted himself to all matters financial and otherwise of the Institution. A much beloved friend and wise counsellor, he gained the affection of all with whom he associated. The present building we now occupy was erected under his supervision. Kind and modest, notwithstanding his many attainments, he was nevertheless looked upon as an authority by members of the Committee.” 65th Annual Report of the SFRS for the year 1913, 13. The shares at the time of his death were valued at 15/- a share giving a value of £1500. “The members of the Ladies Committee desire to place on record their sense of the great loss, sustained by them through the removal by death of their late secretary Mrs. J. H. Goodlet. Her association with the institution dates from 1856 during which time she served the Institution with zeal and wisdom, and has left the stamp of her influence on all branches of the work. As secretary she conducted the business in a methodical and thorough manner and won for herself the respect of all who labored (sic) with her” Sydney Female Refuge Ladies Committee Book March 1903. Mrs. Goodlet’s thoughtfulness is seen in her providing a treat on the Queen’s Birthday for the inmates, and tea cakes and fruit on the Prince of Wales birthday. 22nd Report of the SFRS for 1870, 13; 24th Report of the SFRS for 1872, 14. 1881 Annual Report of the Benevolent Society (Sydney, 1882), 13. 1883 Annual Report of the Benevolent Society (Sydney, 1882), 13. 1899 Annual Report of the Benevolent Society (Sydney, 1900), 24. 1893 Annual Report of the Benevolent Society (Sydney, 1894). Ron Rathbone, A Very Present Help – Caring for Australians since 1813 The History of the Benevolent Society of New South Wales (Sydney; State Library Press. 1994), 124 citing Annual Report, Benevolent Society of NSW. 1905, 6. The Fourth Annual Report of the NSW YWCA and Institute Union 1885 (Sydney; White, 1886), 5. Minutes of the YWCA December 7, 1893. Twenty Third Annual Report of the NSW YWCA and Institute Union 1902-03, 11-12. Minutes of the YWCA June 26, 1884, Minutes of the YWCA July 3, 1884. Minutes of the YWCA April 8, 1885. Minutes of the YWCA June 3, 1886. Minutes of the YWCA June 5, 1884. The Board of Advice gave guidance and help on property, financial and business matters. The Board of Advice was expanded in view of the proposal to build a new building. Both JH Goodlet and Rev J Walker were added. Minutes of the YWCA August 17, 1888. Twenty Third Annual Report of the NSW YWCA and Institute Union 1902-03, 11. Twenty Third Annual Report of the NSW YWCA and Institute Union 1902-03, 11-12. This was moved by Miss Forbes who was to become the second Mrs Goodlet. Minutes of the YWCA January 15, 1903. Twenty Third Annual Report of the NSW YWCA and Institute Union 1902-03, 11-12. This was moved by Miss Forbes. Minutes of the YWCA January 15, 1903. The numeric details of the minute may have been incorrect but the sentiment was genuine. Mr. J H Goodlet first appears at a meeting as a member in November 1879 having been appointed a member of the Board in October 6 1879 Minutes of the NSW Deaf & Dumb & Blind Institution October, 6 1879. Even after her retirement the annual reports record that Mrs. Goodlet kept on giving prizes, cakes, buns and oranges, pears and other treats for the children. The date was October 17 1898 annotation in Ellis Robertson’s copy of the Thirty Sixth Annual Report of NSW Deaf & Dumb & Blind Institution 1897. The official report of the appointment is in the Thirty Seventh Annual Report of NSW Deaf & Dumb & Blind Institution 1898. Thirty Seventh Annual Report of NSW Deaf & Dumb & Blind Institution 1898. Minutes of the NSW Deaf & Dumb & Blind Institution November 5, 189. The date of the appointment was 11/12/1893 Notation in Ellis Robertson’s copy of Thirty Second Annual Report of NSW Deaf and Dumb Institution 1893. Forty Second Annual Report of NSW NSW Deaf & Dumb & Blind Institution 1903. Regretfully the Royal Institute for Deaf and Blind Children, when it moved from Darlington to North Rocks left behind all the memorials erected to mark the service of people like Mrs. Goodlet. This has resulted in the loss of the knowledge of the contribution that Mrs. Goodlet and others made to the education and welfare of Deaf and Blind Children in NSW. The University of Sydney after purchasing the Institute Building has fortunately preserved the memorial and has it in a store. The HCPT was variously known as “The Home”, “Harmony”, “Goodlet’s Hospital”, “The Home for Consumptives, Picton”; and after Goodlet relinquished control “The Home for Consumptives, Thirlmere” and later “The Queen Victoria Home for Consumptives, Thirlmere”. The Messenger January 16, 1903, 346. The Presbyterian December 11, 1886, 8. The Presbyterian September 25, 1886, 3. NSW Votes and Proceedings for 1899 Vol 5, 425ff. Rev John Auld as quoted in The Messenger January 16, 1903, 346. Elizabeth was to die on January 20,1876 seven weeks after she penned this letter. Letter Elizabeth Copeland to Ann Goodlet December 1, 1875 Copeland Letters, Ferguson Library, Sydney. The Messenger July 31, 1908, 486-7. Undated Newspaper cutting in Ashfield Presbyterian Session Minutes for 1926, 506 of an address by the Very Rev John Walker, Ballarat, Sunday April 11,1926. Ashfield Presbyterian Church Session Minutes January 11, 1903. Anon, The Messenger, January 30, 1903, 378. By phinaucohi in Philanthropy on April 20, 2016 .